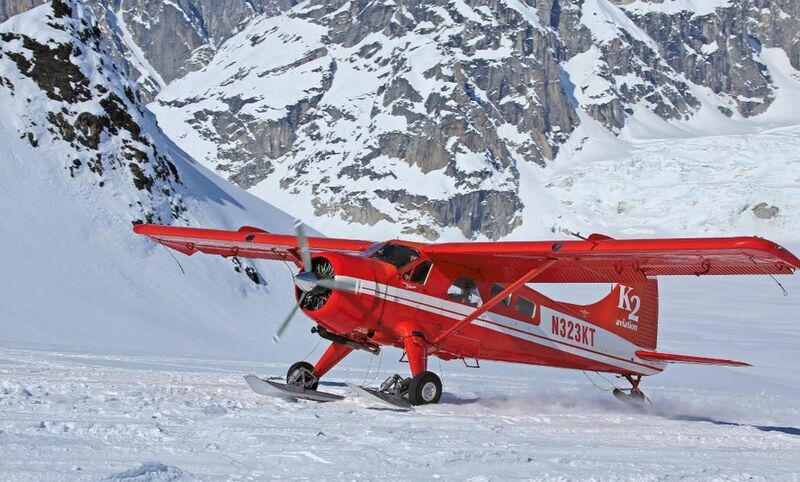 The K2 Aviation plane that crashed near Denali last weekend will remain perched on a mountain ridge until at least later this week. The crash is believed to have killed all five people aboard the de Havilland Beaver, making it the deadliest in recent history for an air taxi flying into Denali National Park and Preserve. The flightseeing trip left Talkeetna's airport at 5 p.m. Saturday and crashed an hour later, authorities say. Pilot Craig Layson, of Michigan, and four Polish visitors are believed to have perished. The bodies of the crash victims remain at the site. Bad weather and heavy clouds are blocking recovery efforts. A National Park Service spokeswoman said there was nothing new to report Tuesday. "We are still in the planning stage for recovery operations," NPS spokeswoman Katherine Belcher said in an email. It will be challenging to extract the wreckage, officials say. The plane came to rest at a near-vertical angle, tail down, on the snowy side at the 10,500-foot elevation of Thunder Mountain, a long ridge about 14 miles southwest of Denali's summit. Two investigators with the National Transportation Safety Board will travel to Talkeetna on Wednesday — but not the crash site. At this point, there are no plans to fly them to the wreckage, which is balanced in a "very dangerous area" on a ledge, said Clint Johnson, the agency's Alaska region chief. 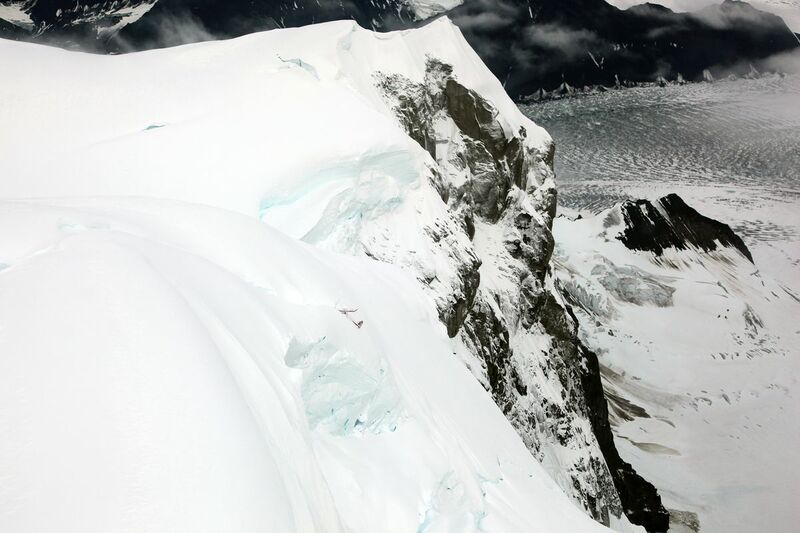 "Basically the airplane is partially in a crevasse, which is holding it on the side of the hill. If it lets loose, it's going to go downhill from there," Johnson said. "We're used to working in remote, challenging areas but this is beyond our scope." The investigators will conduct interviews at K2, as well as at other air taxi operators based in Talkeetna who may have been flying Saturday, he said. They want to get a better idea of weather and wind conditions at the time of the accident. Layson survived long enough to make two calls to the K2 base, raising hope that he or perhaps his passengers would still be alive when rescuers got a break in the clouds about 36 hours later. But on Monday morning, a National Park Service ranger suspended from a helicopter found four bodies inside the snowy wreckage on a weather-shortened trip to the crash site. He couldn't see a fifth person in the plane, but officials believe they are also dead. The Consulate General of the Republic of Poland in Los Angeles has requested that the names of the four Polish passengers not be released, according to a National Park service statement issued Tuesday afternoon. One of them was a young man about to get married, according to Stanislaw Borucki, honorary consul for the Honorary Consulate of the Republic of Poland in Anchorage. "That was the most difficult thing," Borucki said. "Young people planning their whole lives and this has to happen." The consul helped the National Park Service and K2 notify families, he said. The group was part of a larger tour of nine Poles who arrived in Talkeetna in time for Saturday's flight. Four chose to fly that day, and five decided to stay on the ground, Borucki said. The group's leader was among the dead, and the others decided to leave Sunday. "Without their leader, they could not travel," he said.